Hydrocarbon revenues for Libya in the calender year of 2018 were up by LD 6.5 billion to LD 33.5 bn from the budget forecast of LD 27 bn, the Central Bank of Libya (CBL) reported in its bulletin today. However, all non-oil state revenues (tax, customs and others) were down by 3.1 bn and contributed only 44 percent to the 2018 budget. 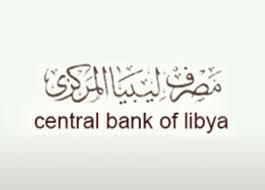 The total budget deficit for 2018 was only LD 4.6 bn of which LD 1.1 bn was an NOC debt owed to the CBL’s Libyan Foreign Bank. This deficit contrasts with the LD 10.6 bn of 2017. The revenues acrude from the duty imposed on the sale of foreign currency raised the CBL LD 13.2 bn. This has solved Libya’s acute liquidity crisis in three months. However, highlighting the lack of development investment and its rentier state status, the CBL bemoaned the fact that consumption (wages, state operating costs and subsidies) made up 92 percent of total state budget expenditure. State-sector wages alone made up 66 percent of state budget expnditure whilst development and projects expenditure made up only 8 percent. This fact “is a negative and dangerous indicator on the direction of public expenditure” the CBL warned. The CBL reminded that although the latest figures cover the whole of Libya, they exclude the accumulated “illegal” expenditure by the Beida-based CBL of over LD 36 bn.